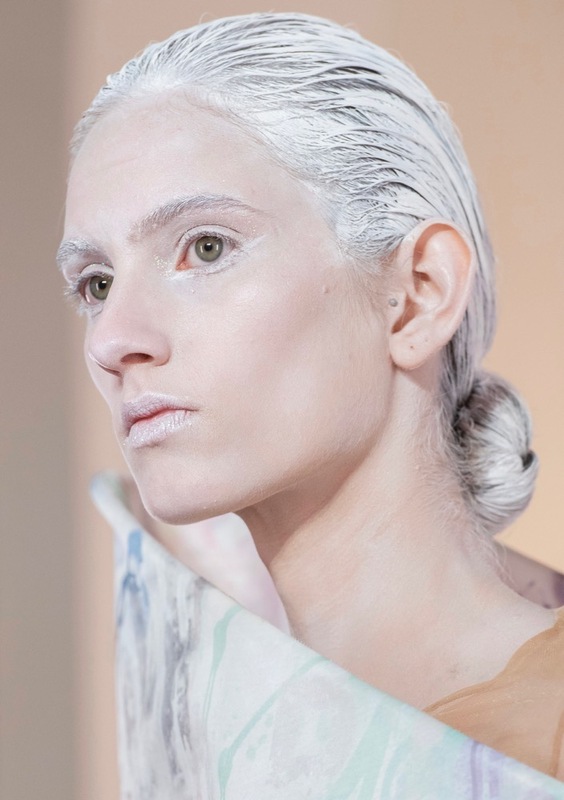 Balmain gave new meaning to ice queen by painting models’ hair white. Whitewashed brows, eyes and lips completed the ghostly look. 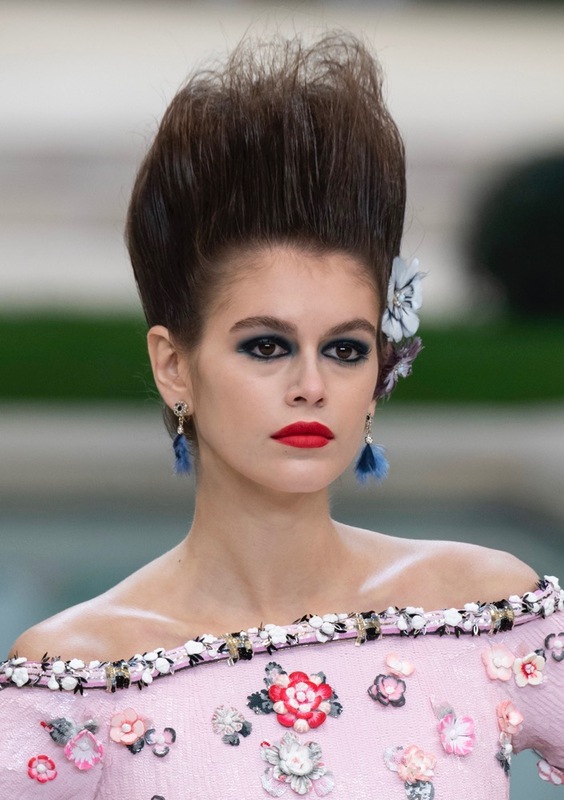 The shockingly high ‘dos at Chanel were set off by flower accents around one ear. 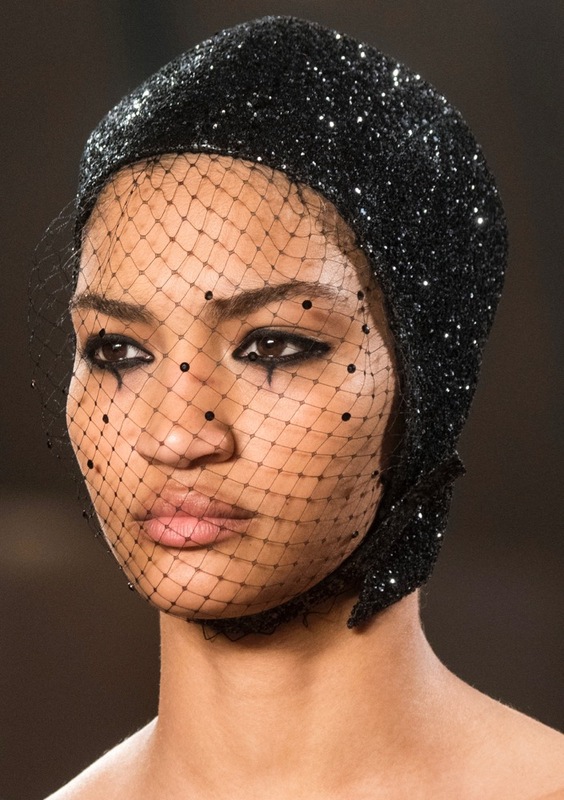 Netted, sparkling swim caps were a thing at Christian Dior, but the smoky eyes with accent squiggles below overshadowed the glitzy headgear. 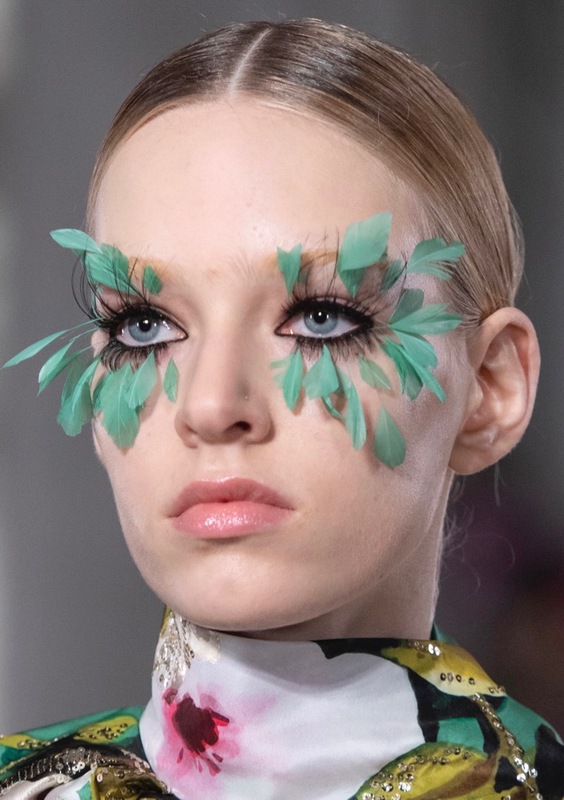 Valentino took lashes to new lengths, then accented them with strategically placed flower petals. 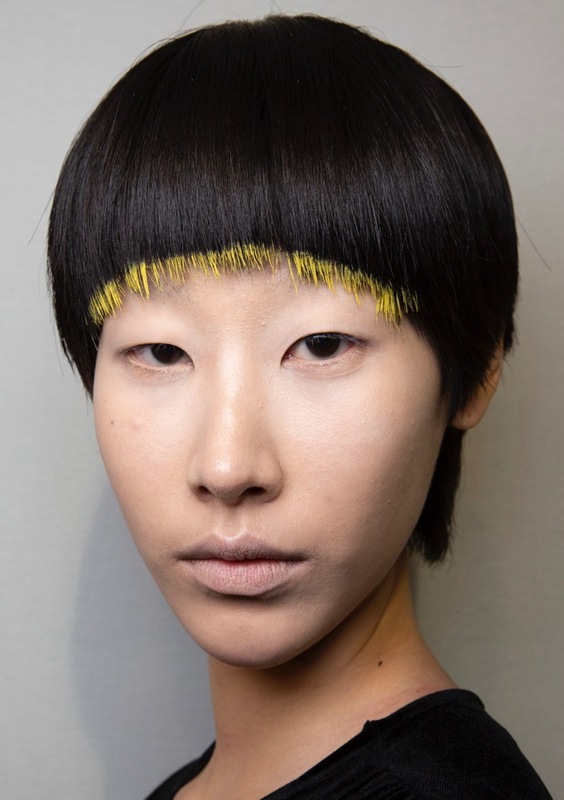 The tips of bangs were painted a rainbow of colors at Iris van Herpen, from yellow to blue to red. 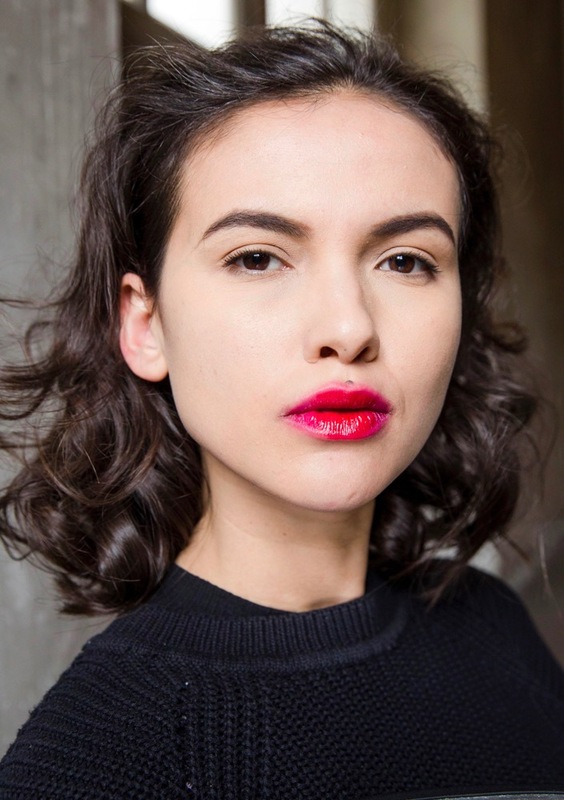 At Julien Fournié, red pouts were turned into blurred lips with well-placed pops of pink. 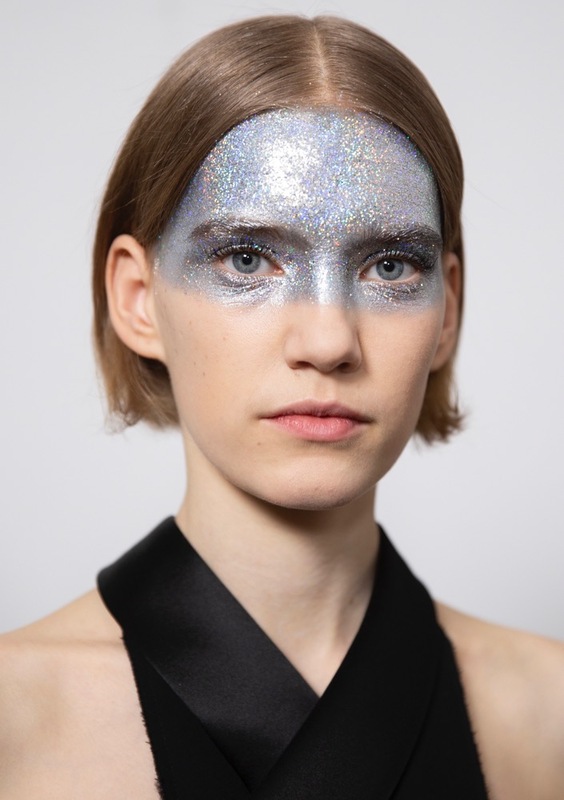 Some models were treated to glitter face masks at Givenchy. 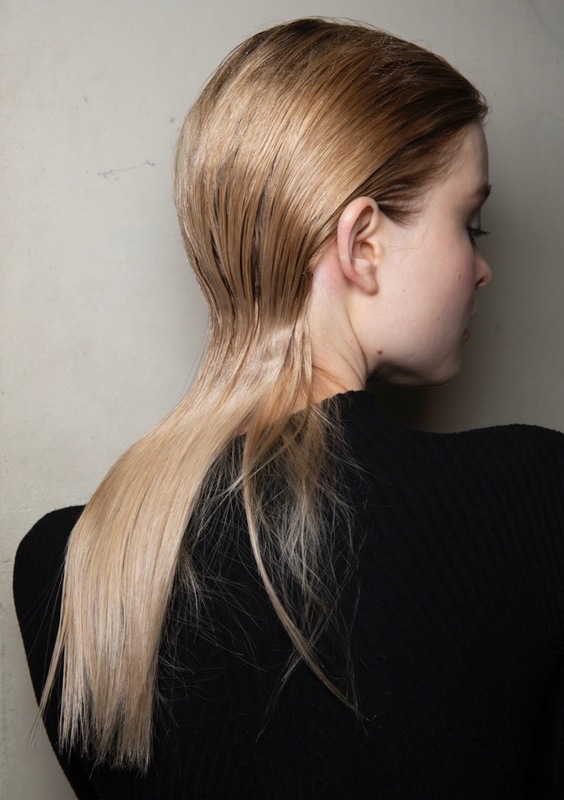 The slick mullets at Elie Saab prove the wet hair trend isn’t going anywhere. 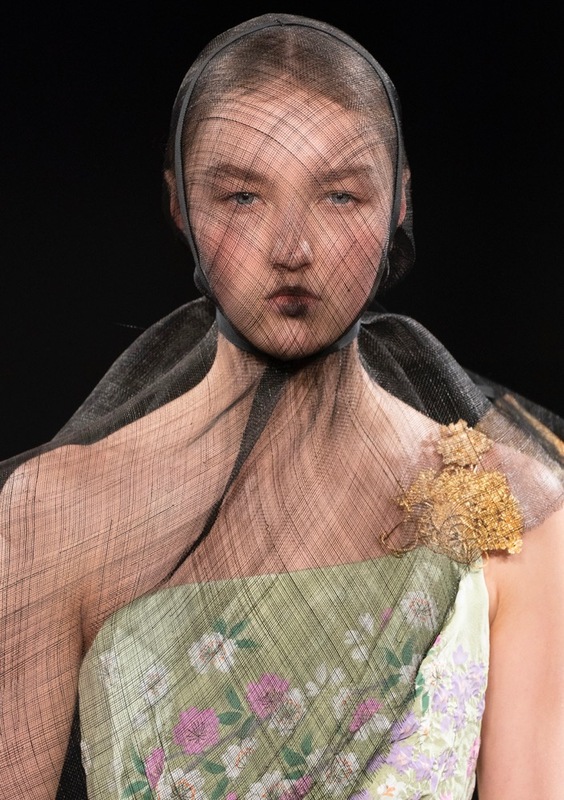 While most models at Armani Privé rocked glitzy headwear (either beaded, flapper-style caps or upside down funnels), it was the eye makeup that really stood out. Peepers were underlined with smudged red eyeliner for an eye-catching look. The 80s were in full effect at Jean Paul Gaultier. 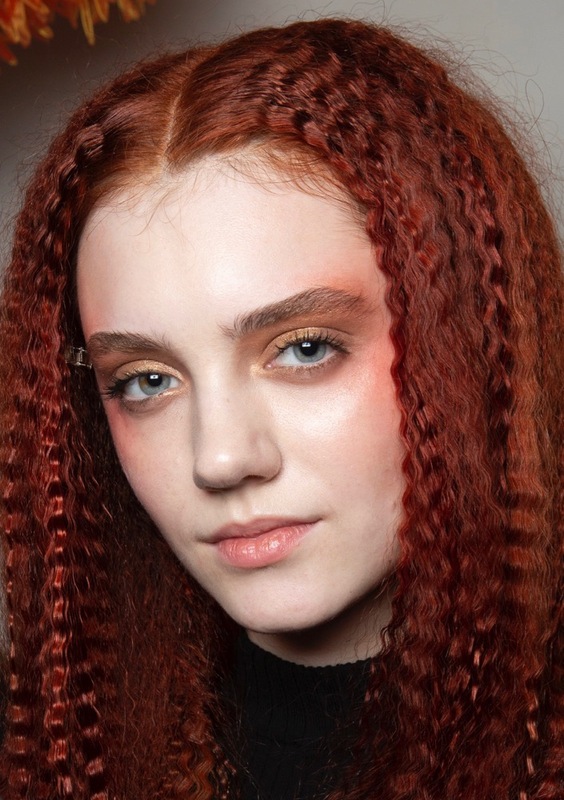 From crimped locks to eyeshadow/blush combos, it was like being in a time warp. 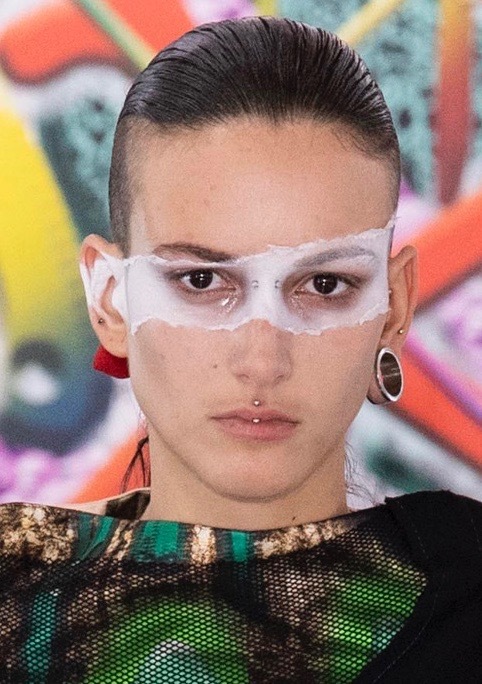 Some of the Maison Margiela models looked like white paint had been spilled over their eye areas. Attention Coachella fans: this is how you do a floral crown. 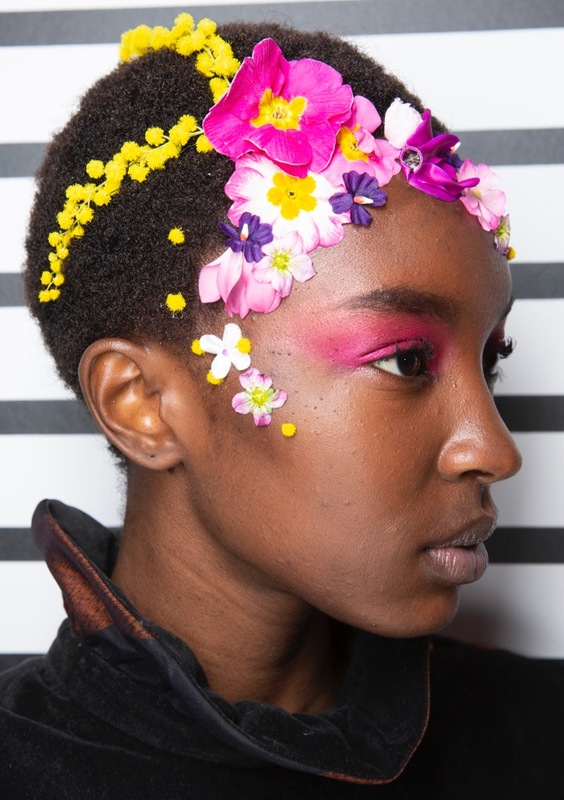 At Alexis Mabille, models received bright floral accents set off by heavy-handed fuchsia eyeshadow. 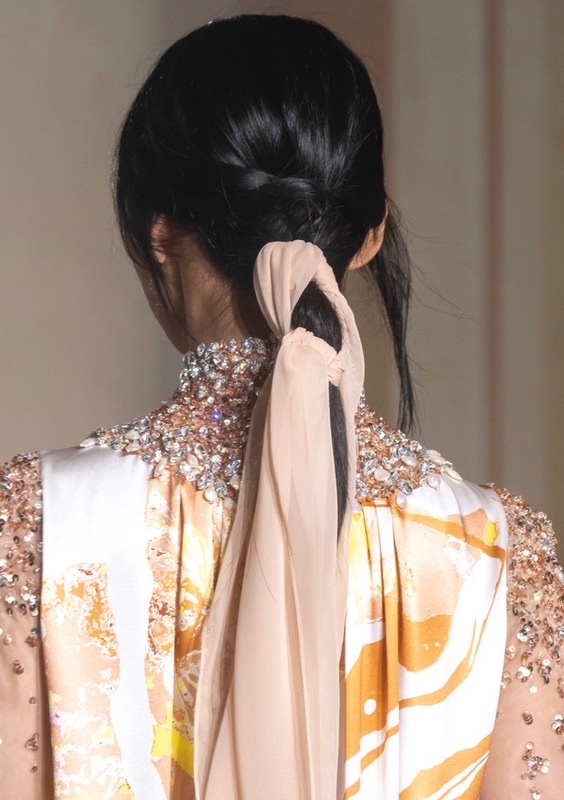 Many models sported headscarves at Stéphane Rolland, but a few had scarves woven into their low ponytails. The sheer black scarves at Yumi Katsura were secured with black ribbons. 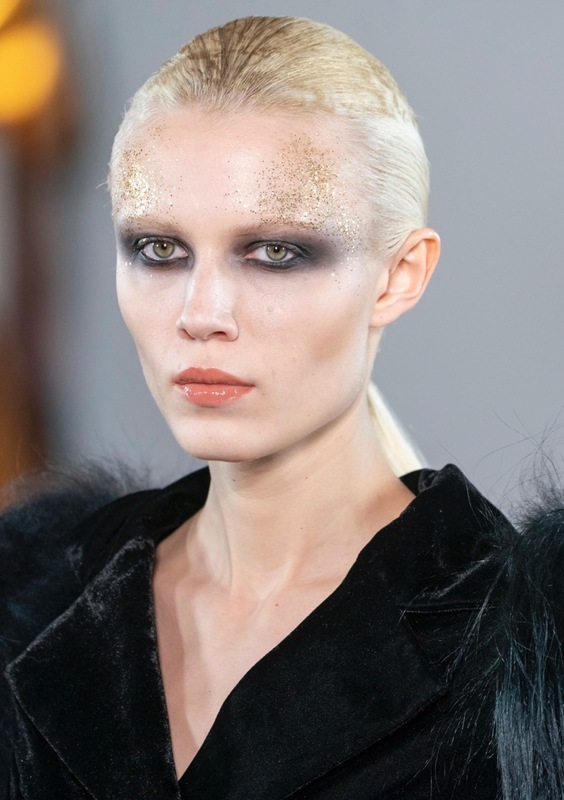 The glitter was a bit more strategic at On Aura Tout Vu with models boasting golden accents on each side of their foreheads, which really set off the intense smoky eyes. Glossy peachy-pink lipstick polished off the striking look. 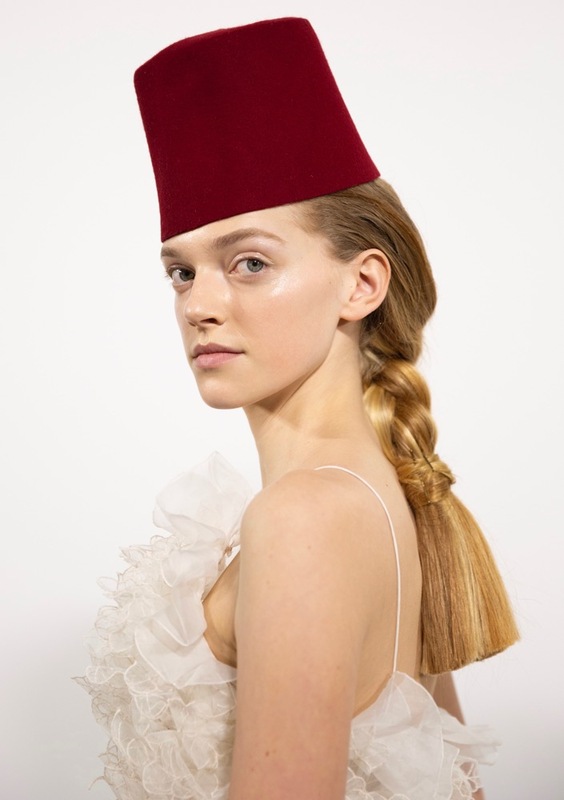 Thick, braided low ponies were capped off by fezzes at Giambattista Valli. 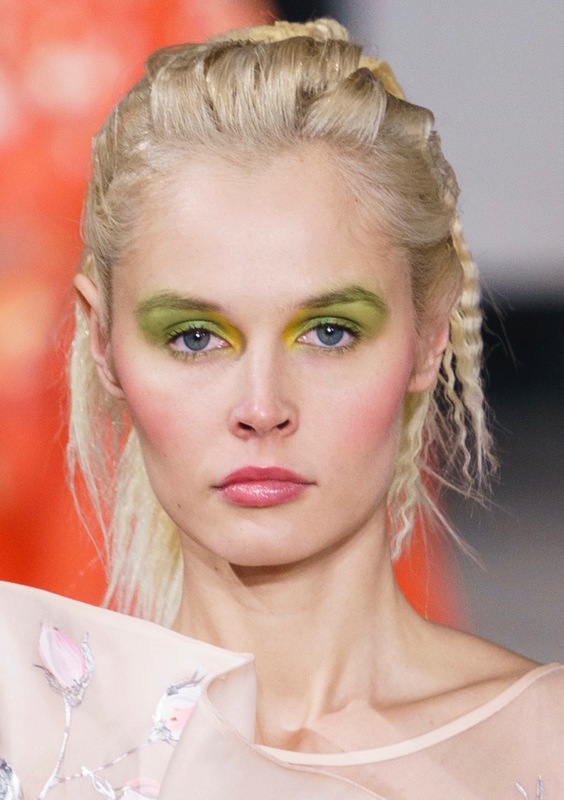 Mossy green shadow was extended up over eyebrows at Georges Chakra. The top knots were piled super high at Guo Pei. At Antonio Grimaldi, models wore Bird Box-esque netted blindfolds down the runway. 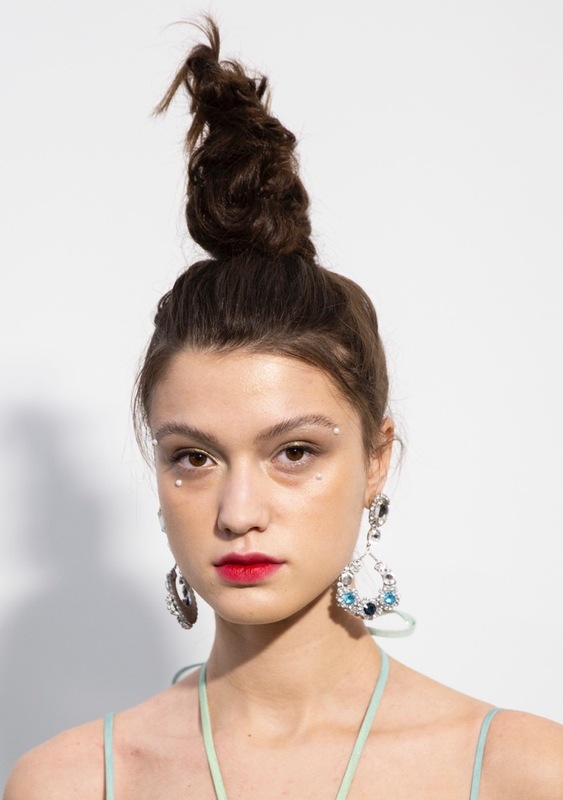 It was top knots with a twist at Tony Ward. Some of the strands wrapped around the base of the knot were left out to mimic the winged eyeliner. Locks were swept to one side at Georges Hobeika, no matter the length. Let’s face it: haute couture clothing isn’t always wearable. And at the Spring 2019 Haute Couture shows, the beauty looks also proved tricky. Headgear was everywhere (and not your typical fedora or winter-appropriate beanie), flowers decorated faces and heads and glitter was delivered in high doses. Despite all of the edgy makeup looks and otherworldly hairdos, there were a couple of beauty takeaways for us commoners. We now have extra incentive to try blurred lips since Julien Fournié painted his models’ pouts red with strategic pink enhancements. Just like on the streets, scarves were popular hair accessories, with some of Stéphane Rolland’s ladies sporting them intertwined in ponytails. And with neon green trending in fashion, Georges Chakra’s bright green shadow can totally translate off the runway. Here are 21 must-see beauty looks from this haute couture season. See how many you’re willing to try. 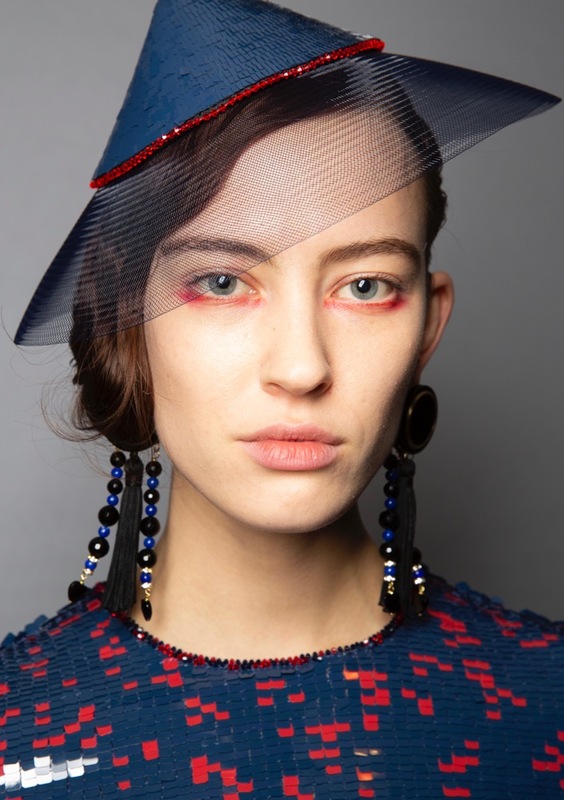 The post 21 Best Beauty Looks From the Spring 2019 Haute Couture Shows appeared first on theFashionSpot.